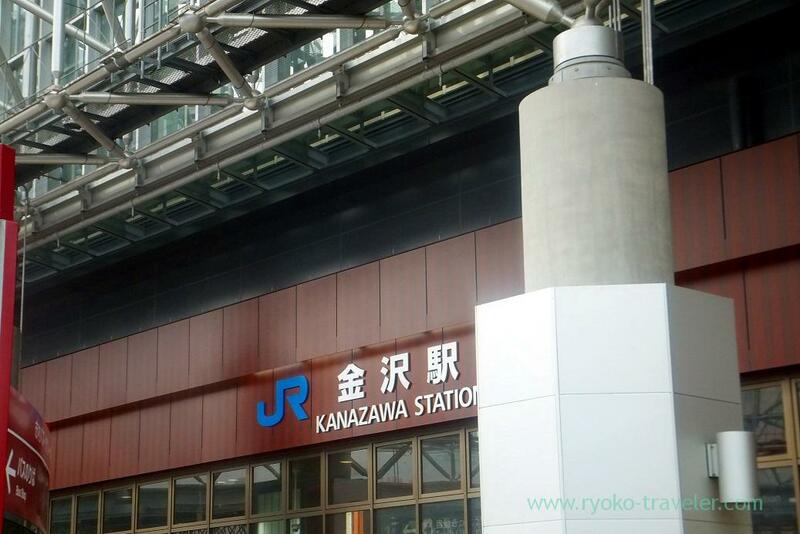 Kanazawa without snowfall in January ! 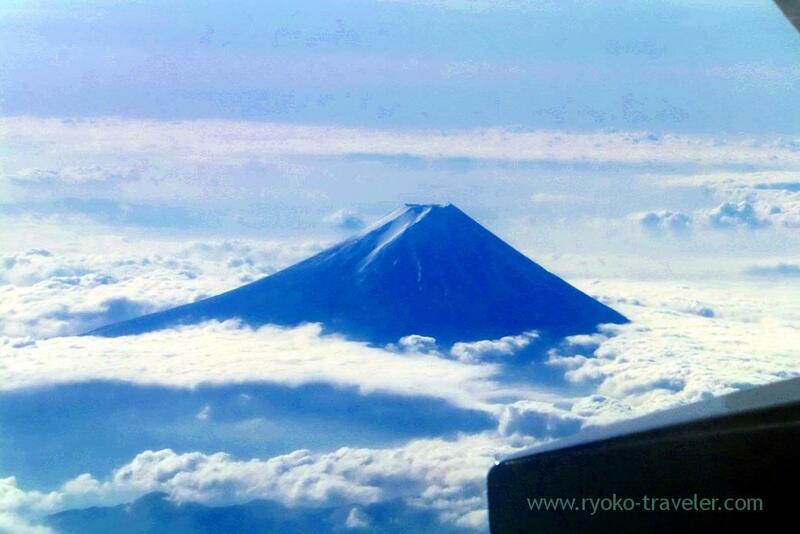 I went to Kanazawa in January. Though Hokuriku Shinkansen opens last year, I thought it is packed and airplane is more inexpensive than shinkansen, so I went to Komatsu airport by air and took bus to Kanazawa station. 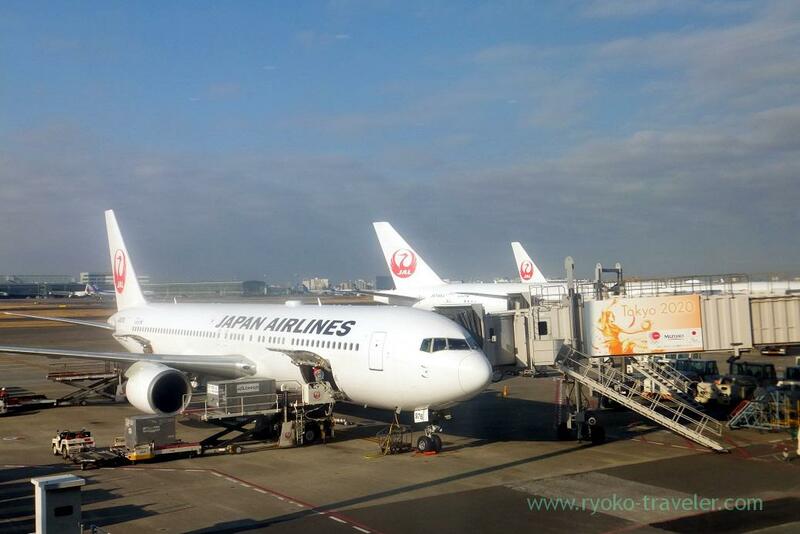 I woke up early in the morning and went to Haneda. Our flight leaving time was 9:30 ! JAL after years absence ! 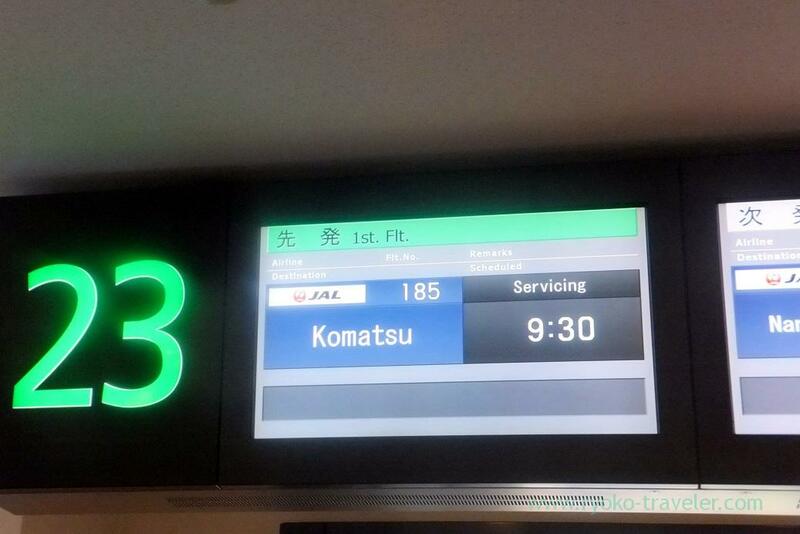 It took one hour or so from Haneda to Komatsu. And we got on a bus to Kanazawa station. About 30 minutes or so. I heard there are so many tourists, but unexpectedly it was not. Probably because it was after New Year holidays. 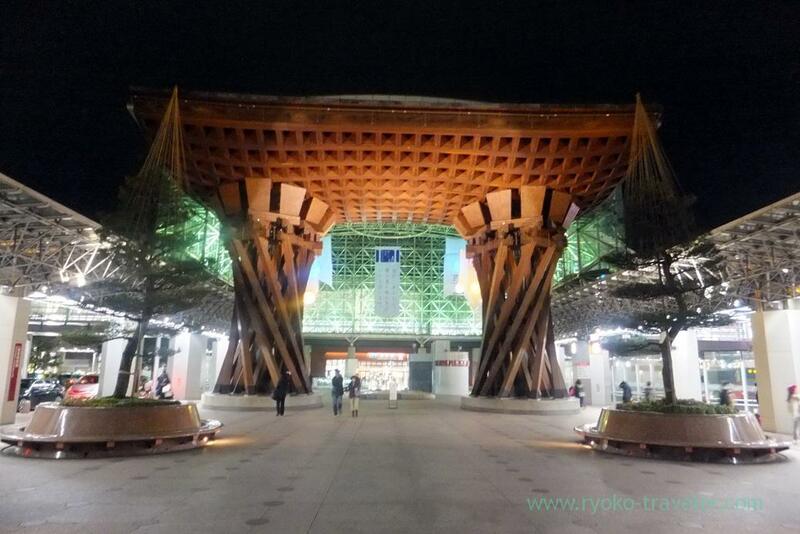 Kanazawa station that I took at night. 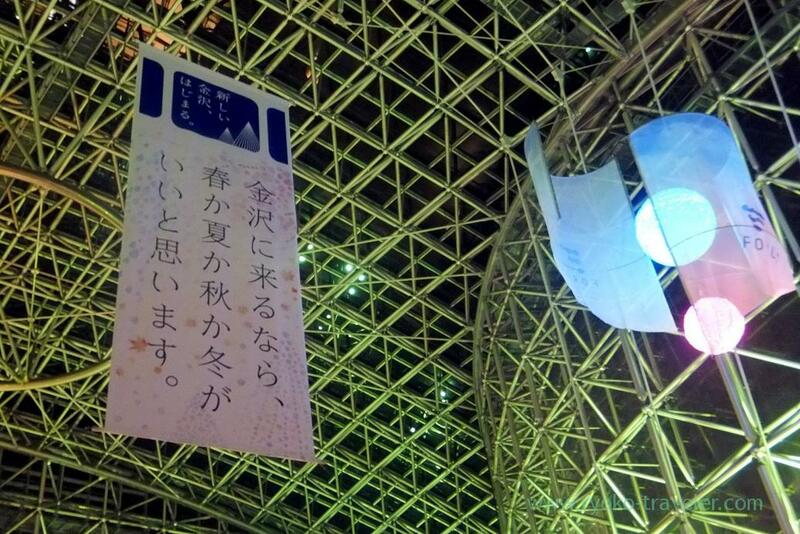 It is still new station. Though I highly expected to enjoy snow world at Kanazawa. But as you see. There was no snowfall ! It was middle of January ! Here’s Hokuriku region ! At first, we went to our hotel and left our baggage and went to Kenrokuen garden.